We announce with deep sorrow the passing of our friend and colleague Prof. Dr. Falk Weih, who lost his two-year battle with colon cancer at the age of 54 on 28 October 2014. Falk was known to many investigators in the fields of immunology, signal transduction and gene expression as a dedicated researcher in pursuit of understanding the role of RelB, a member of the nuclear factor-kB (NF-kB) family of transcription factors, and associated biological pathways. 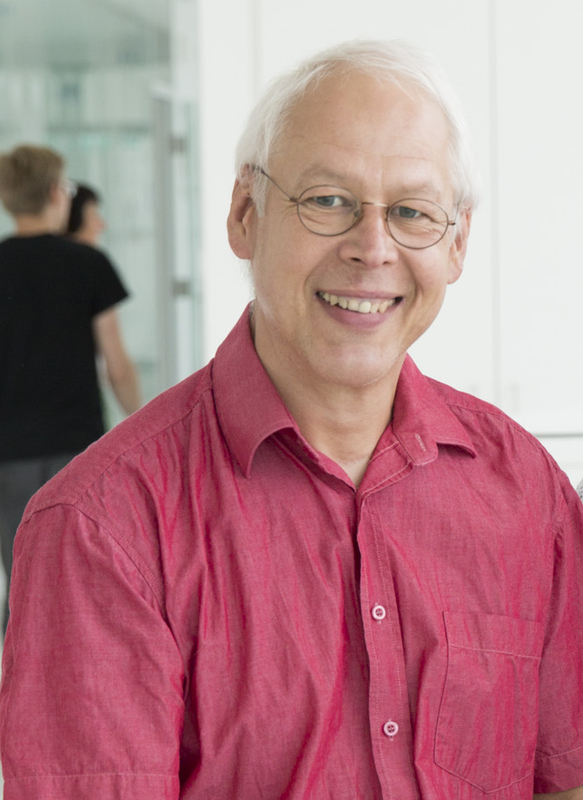 In the late 80s, Falk started his career in the laboratory of Prof. Günther Schütz at the German Cancer Research Center (DKFZ, Heidelberg), where he studied the interaction of methylated DNA and transcription factors at the tyrosine aminotransferase promoter. He published several papers in high impact journals during this period, already giving an indication of his highly focused and inquisitive mind. After completing his Ph.D., Falk joined the laboratory of Dr. Rodrigo Bravo at the Bristol-Myers Squibb Pharmaceutical Research Institute in Princeton, USA, as a postdoc. Drawn to the various aspects of NF-kB pathways, he generated several mouse models to understand the function of these proteins. During this phase, guided by the analysis of the RelB knockout mouse, Falk also developed his interest in inflammation. He also met his wife, Debbie, during this time and together they continued this line of research. Falk and Debbie returned to Germany in 1997, where Falk continued studies on the in vivo function of RelB at the Institute of Toxicology and Genetics in Karlsruhe. In 2004 he was appointed Professor of Immunology at the Friedrich Schiller University, Jena, and set up his laboratory at the Leibniz Institute for Age Research (Fritz Lipmann Institute) in Jena. Among Falk’s 70 publications, significant contributions to the understanding of the non-canonical NF-kB pathway and various aspects of RelB function can be counted. These include roles in lymphoid organ development, and the transcriptional regulation of chemokines and cell adhesion molecules involved in secondary lymphoid tissue organization and function. Moreover, his group demonstrated the specific roles of both RelA and RelB in the differentiation of natural killer T and IL-17+ ?? T cells, as well as a role for non-canonical NF-kB signaling in B-cell development and function. Falk’s research interests also extended beyond the immune system, as shown by his recent publication on the function of different NF-kB proteins during neuronal regeneration and adipocyte differentiation and function. In spite of Falk’s struggle with cancer during the last year of his life, he continued to have meetings with students, postdocs and collaborators. He was also a critical reviewer, sensitive mentor and friend, open to many long and fruitful discussions. Falk enjoyed sharing social activities, motor cycling, horseback riding, photography and music, all of which helped maintain a balance between work and private life. Falk leaves a rich scientific heritage and many of his students and colleagues will follow on in his research path and benefit from his teachings and methodologies. We will miss him and keep him in our memories. To honor his scientific heritage, the Weih group has organized a "Symposium on Molecular Signaling in Health and Disease", which was held on January 16, 2015. Friends and companions of Falk recalled his life and commented his work.